When I saw the information about what happened today during a major freediving competition I was shocked but not surprised at all. 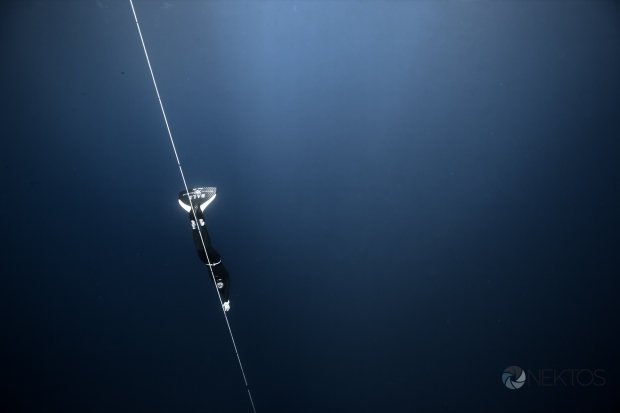 Competitive freediving has some serious problems, that is not something new. In the past we had some competitors dying during training and even one during a competition, but every time the accidents were caused by misjudgment or stupid behavior of the victims themselves. Lack of professionalism while practicing an activity which at that level requires a lot of it can be extremely dangerous. But this time the accident concerns the person I consider as the only real professional in the sport, Guillaume Nery. Guillaume took many many years to get where he is now. I met Guillaume when he was still a young teenager training with us the “old guys” in the late 90’s. In those days he was already showing respect, determination and patience. It took him many years despite amazing abilities and adaptation to get his first world record and after that he kept on being at the top of the sport and developing other important aspects of his life. His freediving career is unique, being at the top for almost 15 years has no equivalent in the modern freediving era. He carries the true values of the sport. Today Guillaume suffered a serious blackout during a competitive dive not because of his ego, a misjudgment or a stupid mistake but because of the incompetence of people organizing the sport. These idiots set up the bottom plate 10m deeper than where it should have been. Fortunately the most professional if not the only professional freediver in the world is safe! how he was seeing the sport with an external eye. As you can guess the article was very critical of the competitive freediving world and instead of trying to understand why they were portrayed in that way and evolve, a lot of freedivers criticized the paper and kept their head in the sand… Although It was a big warning, nothing drastic was done by the sport’s governing body and two years later the first fatality during a competition occurred. I believe that today it is the day to say STOP and the day for the competitive freediving community to put pressure on the governing body to do something about that and I hope that someone will sue their representative who were on site and particularly the head judge. In other words, fire the wankers. Freediving is not dangerous at all, the problem is that there are some extremely dangerous people who are freediving or organizing it.